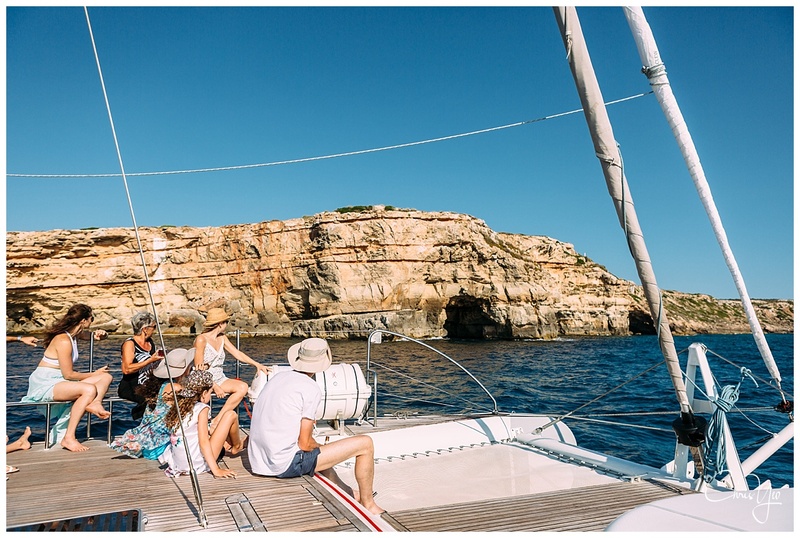 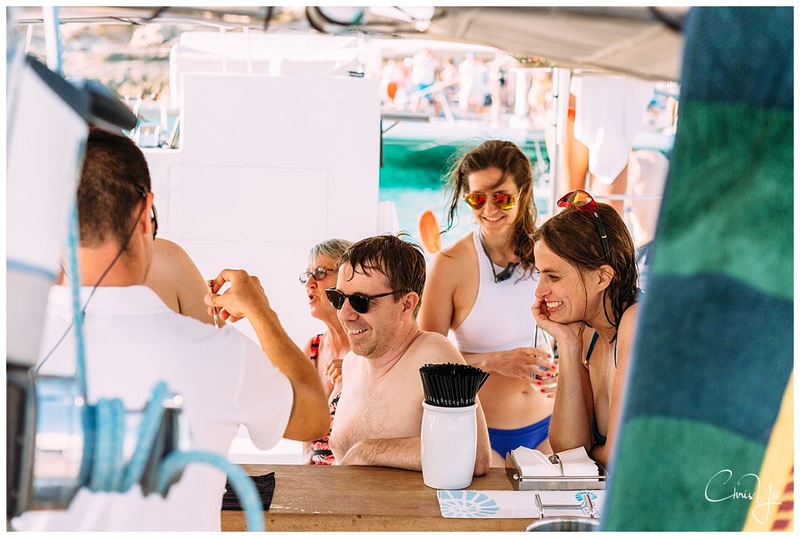 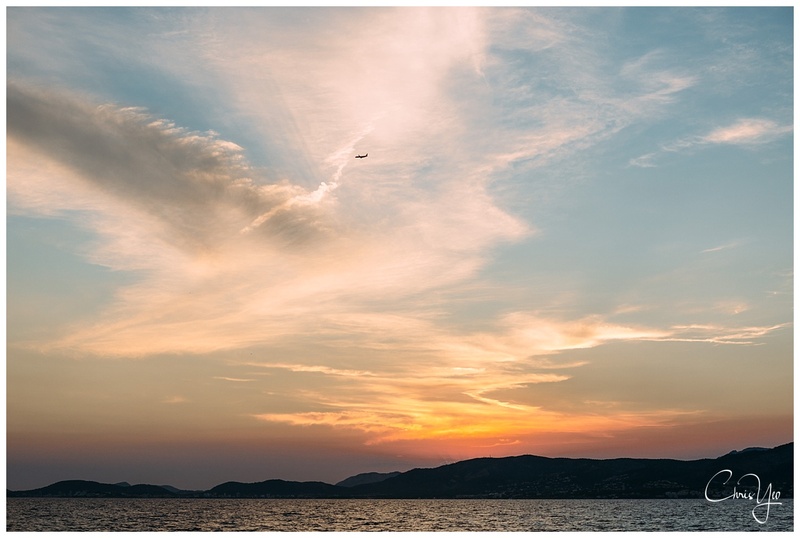 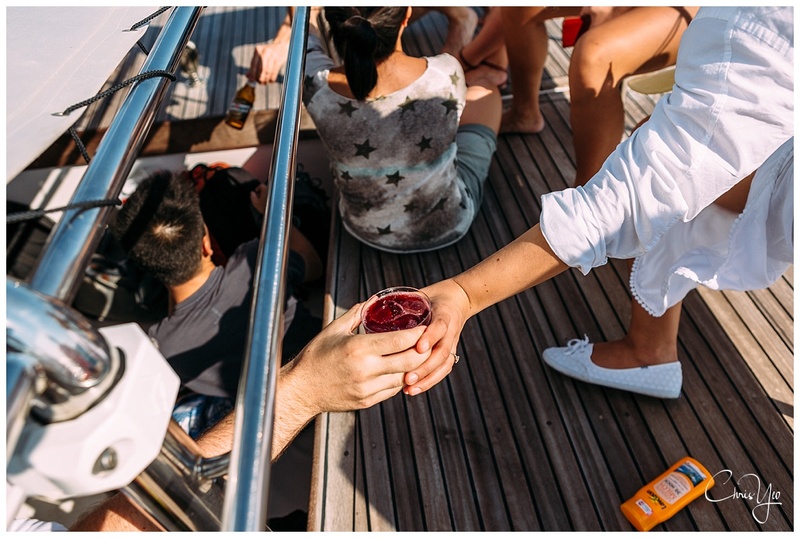 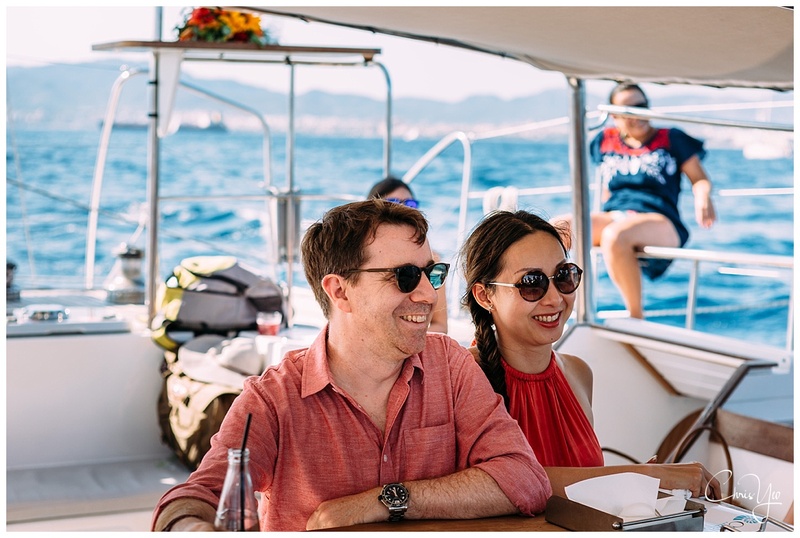 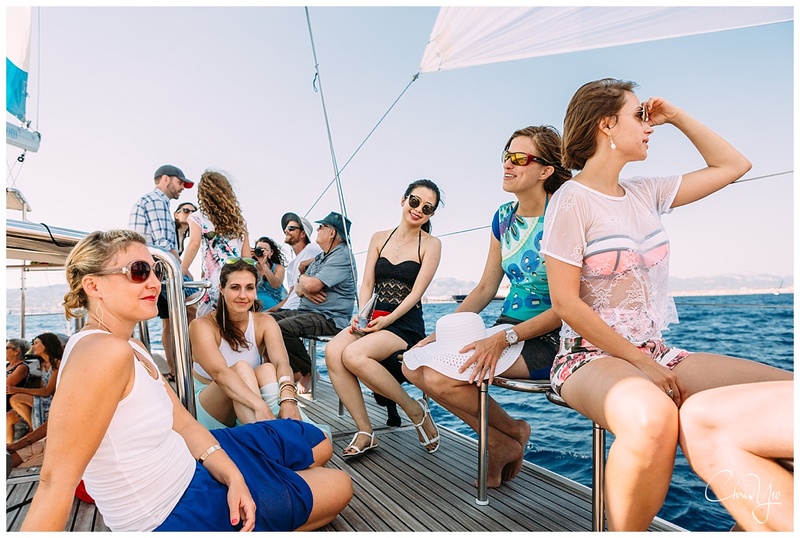 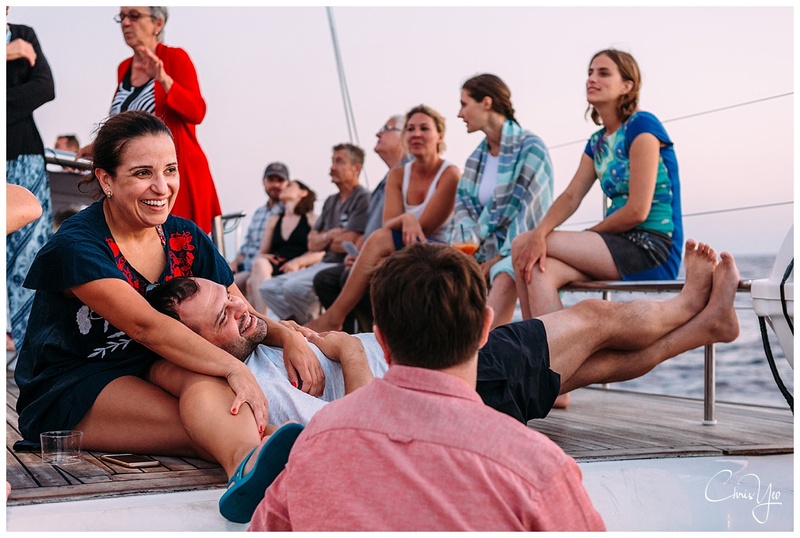 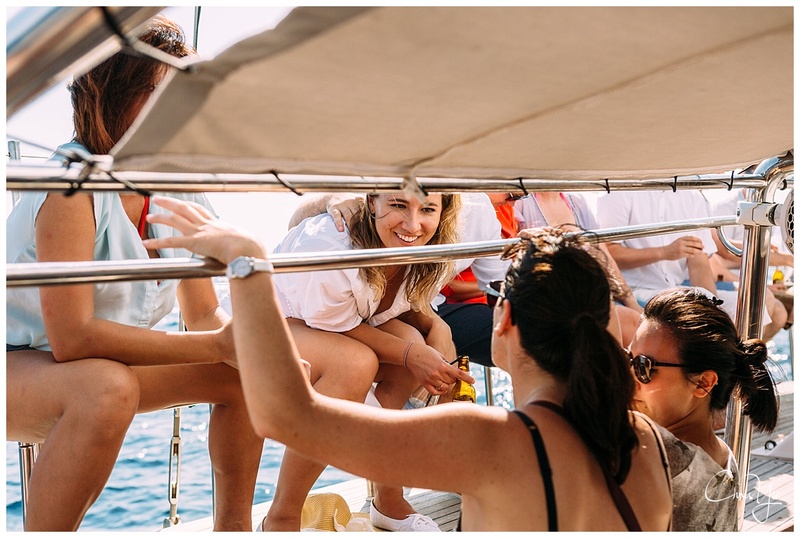 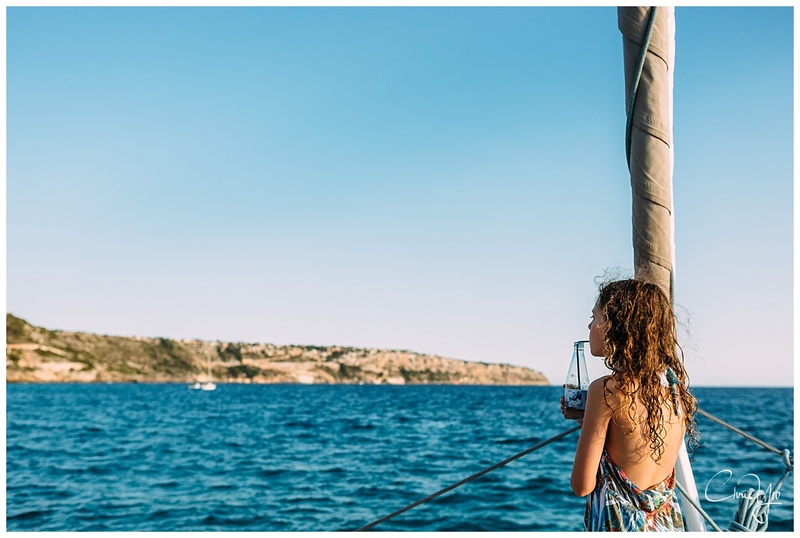 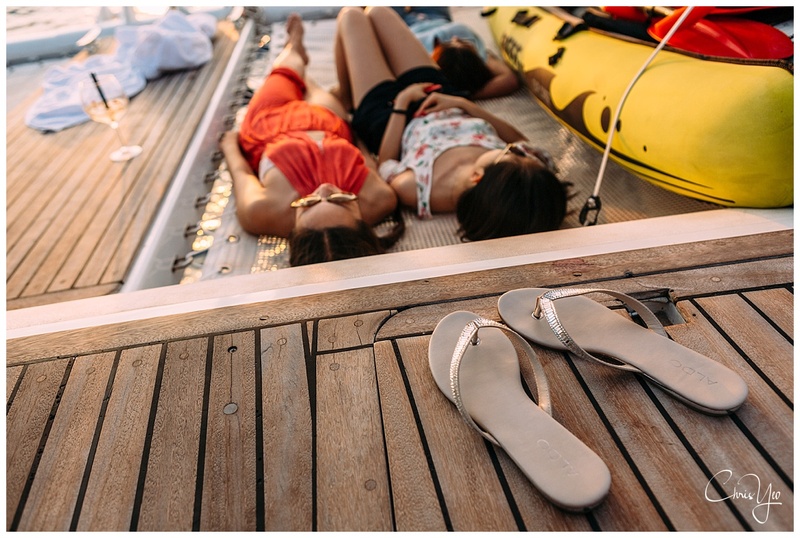 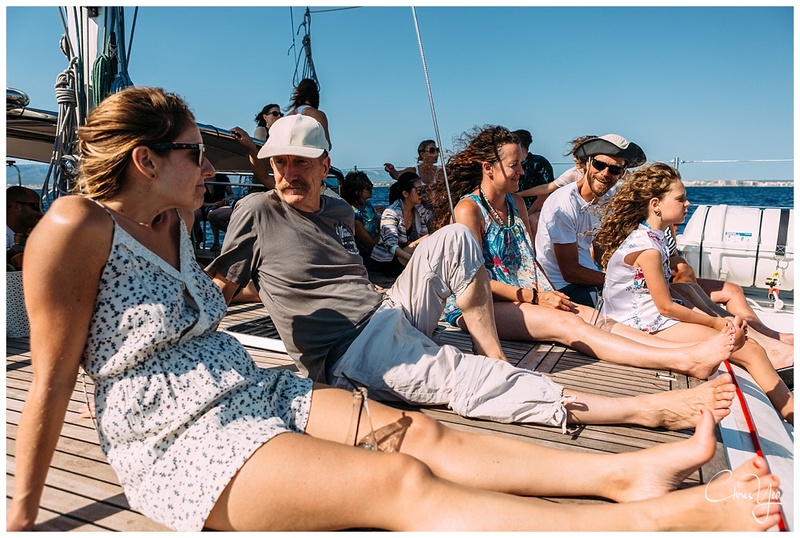 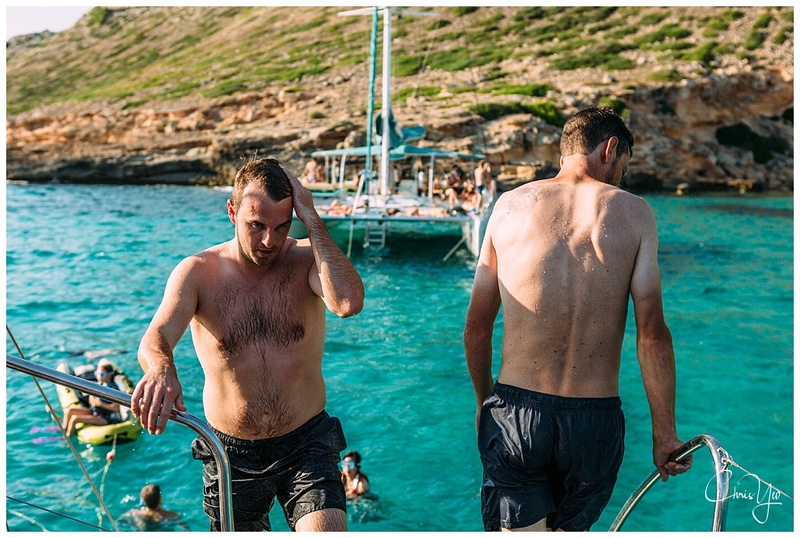 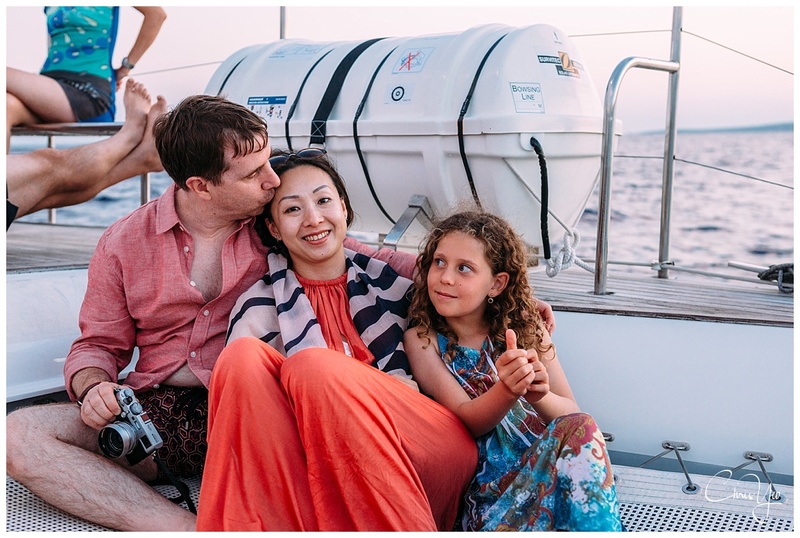 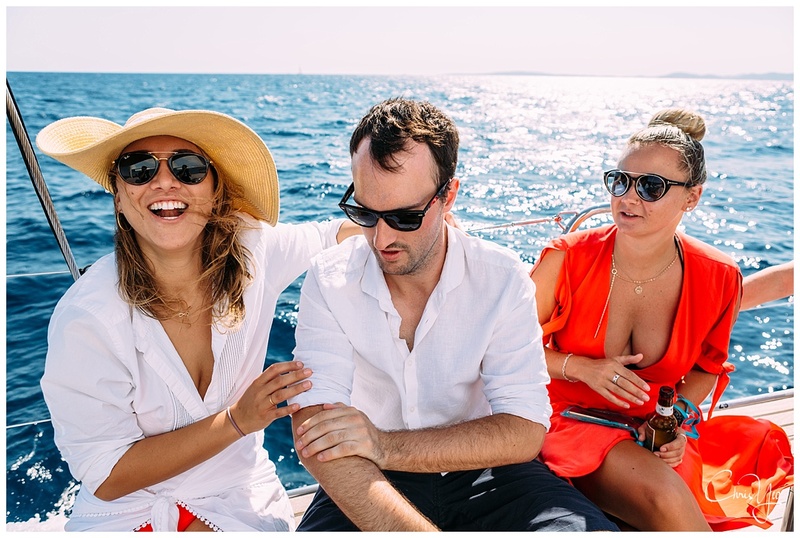 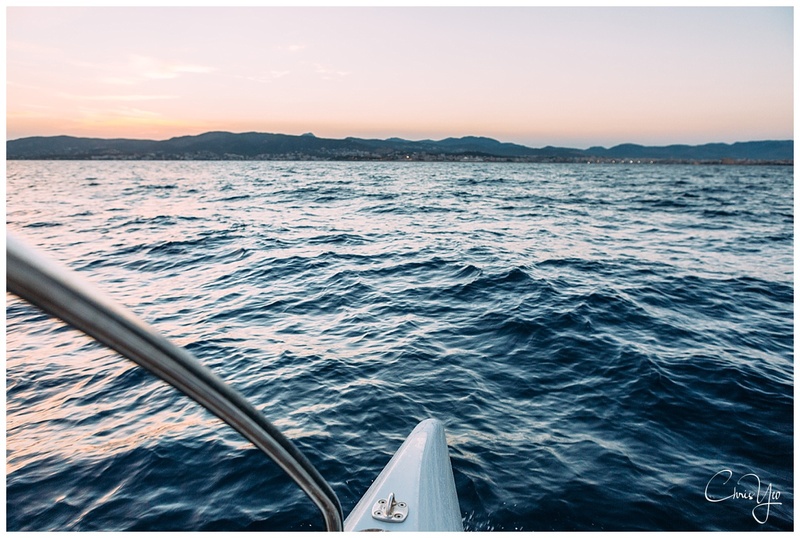 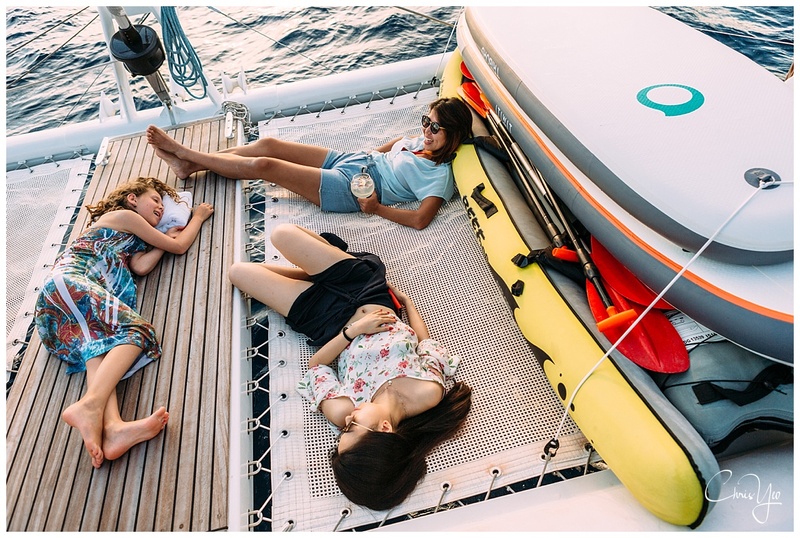 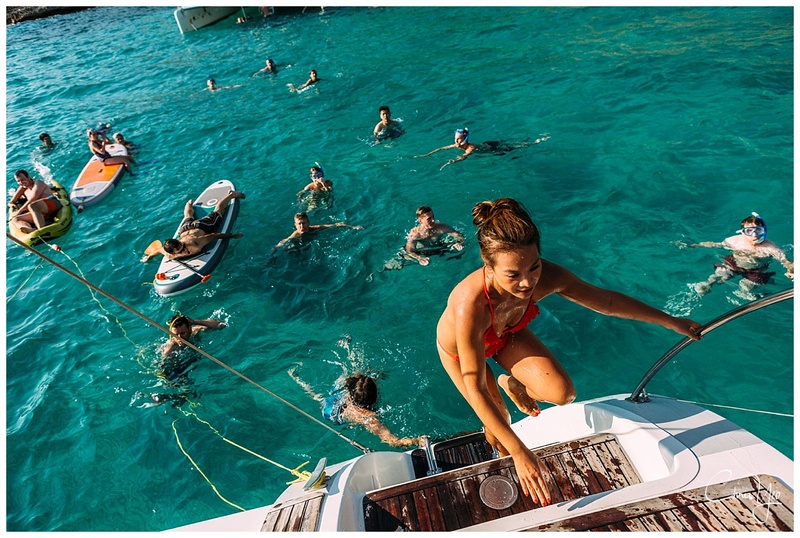 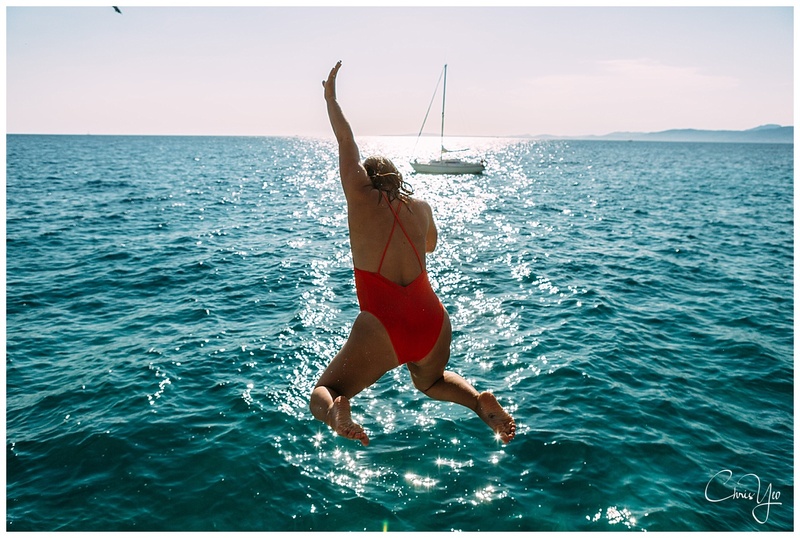 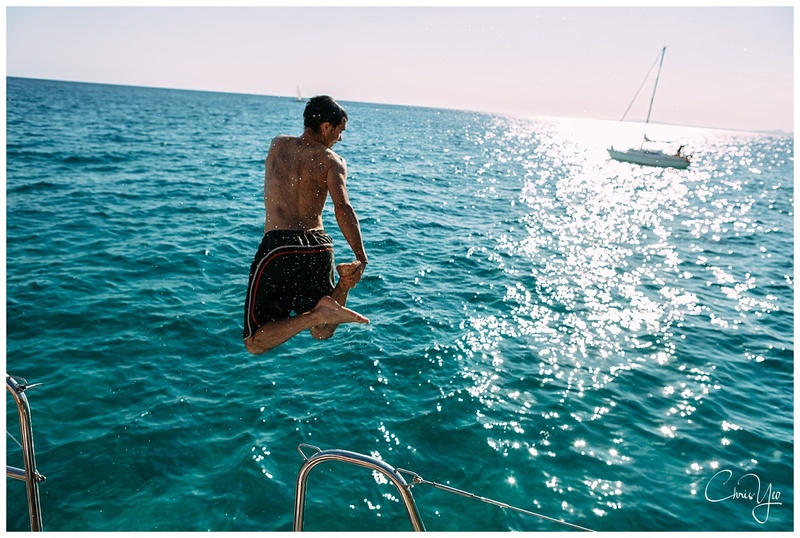 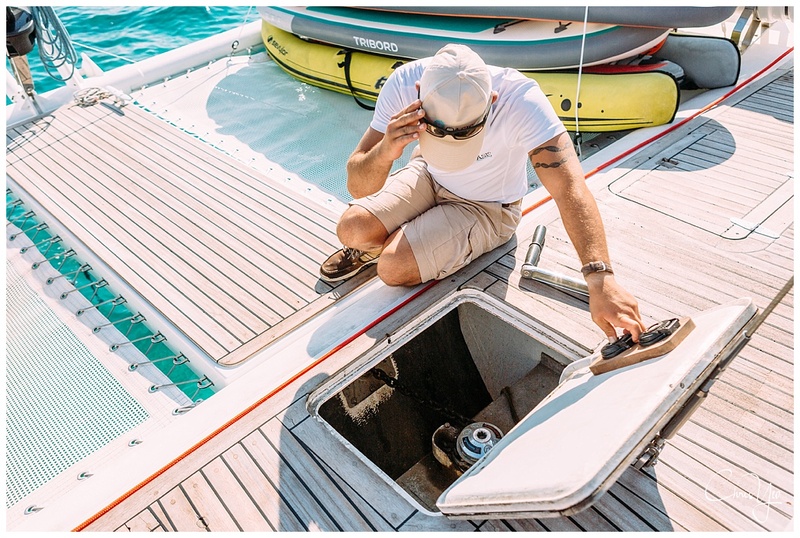 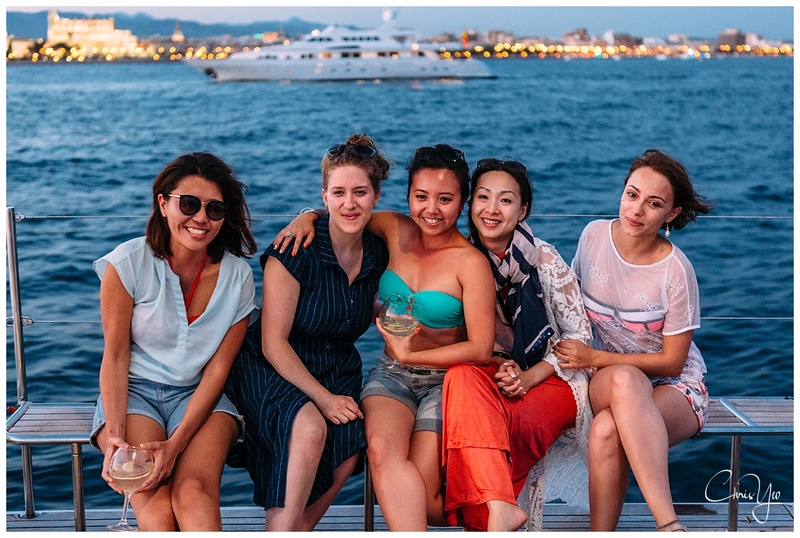 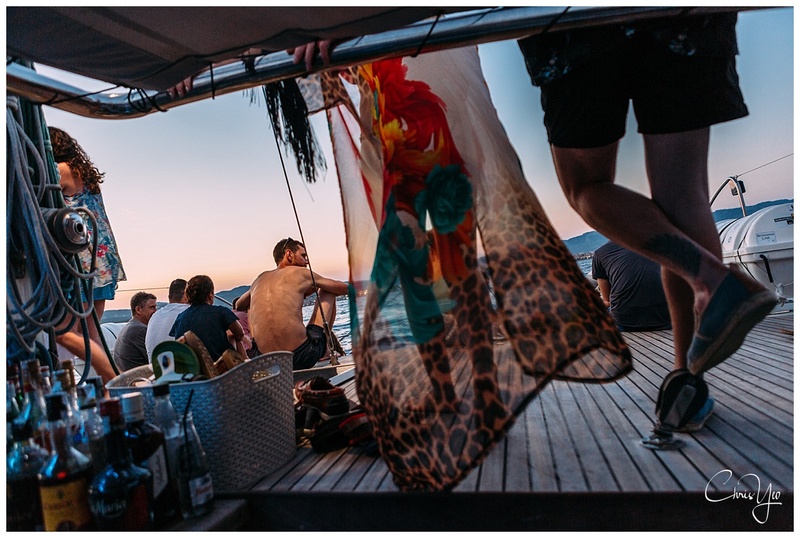 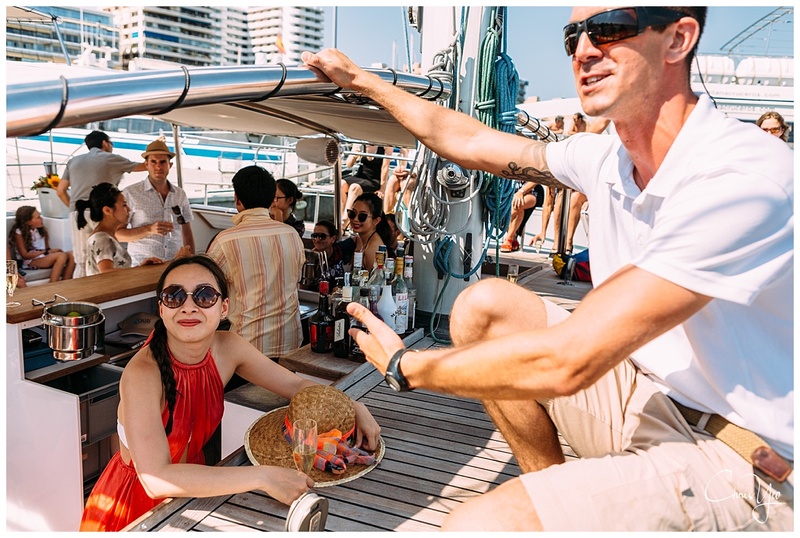 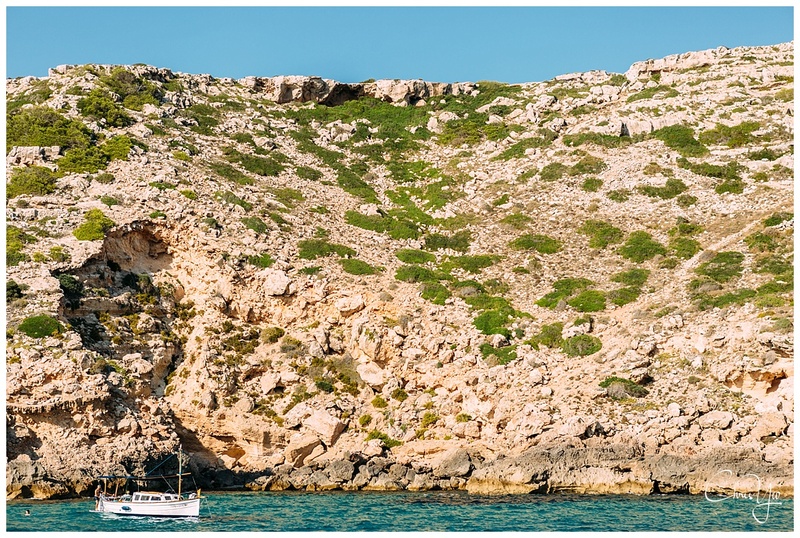 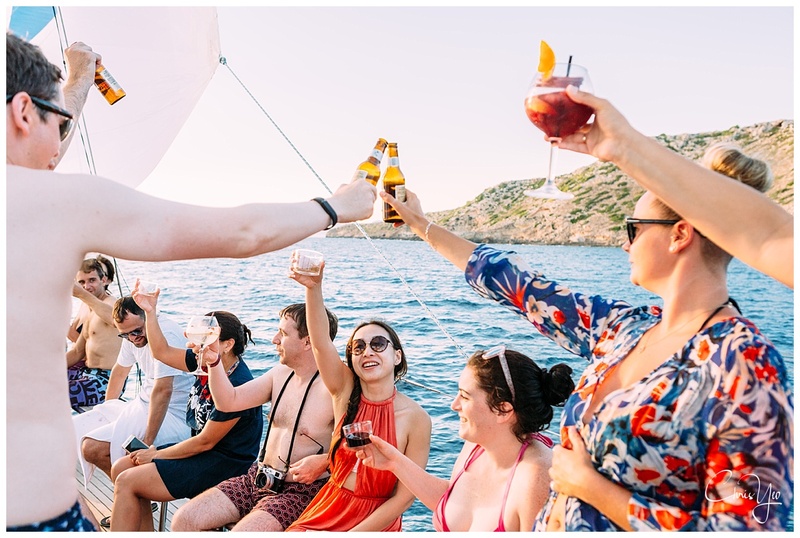 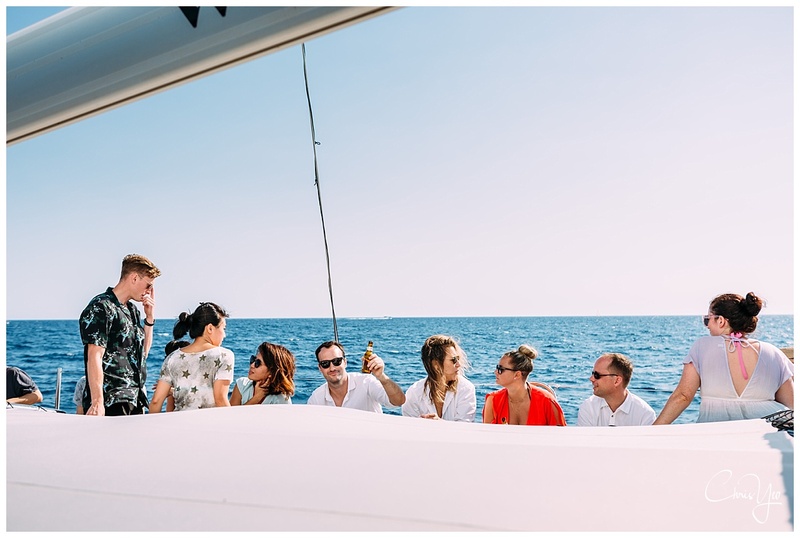 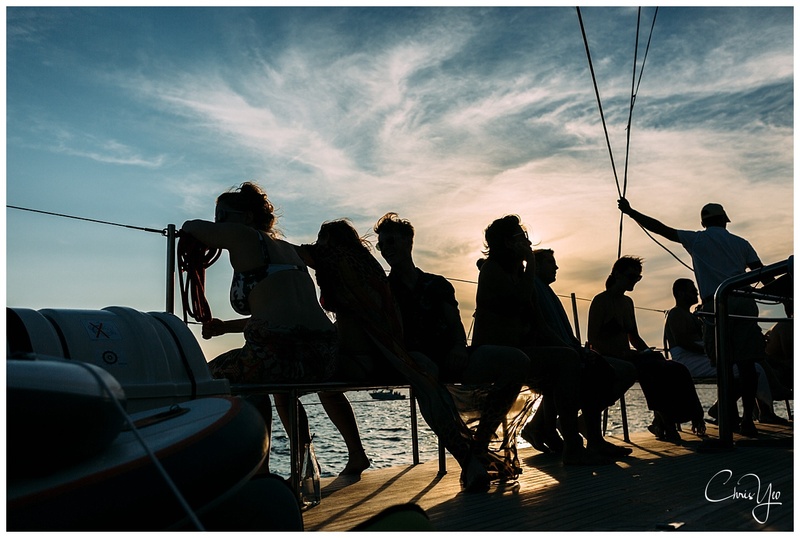 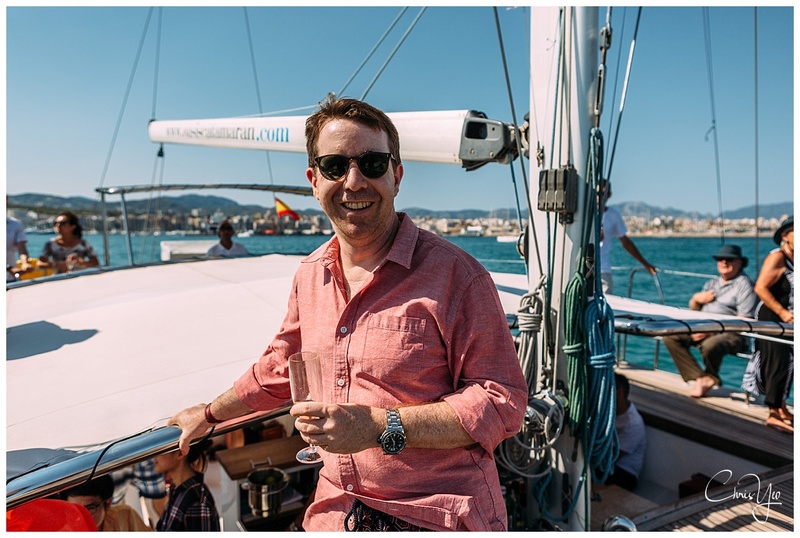 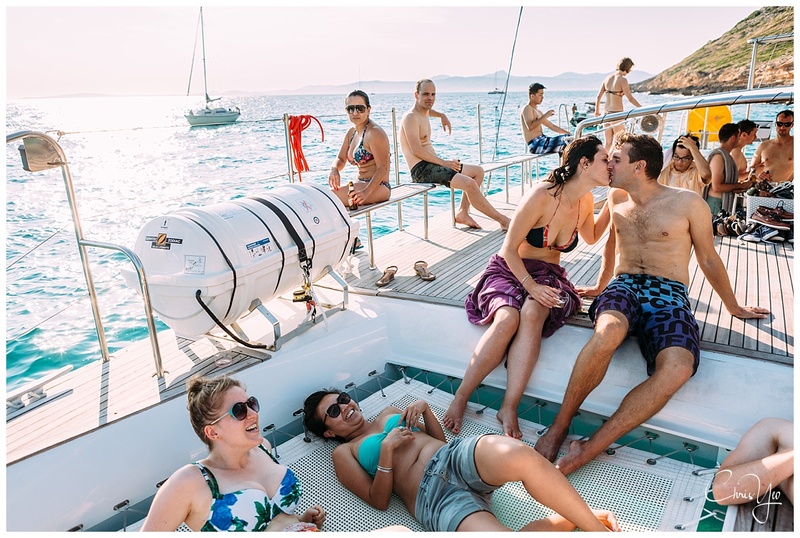 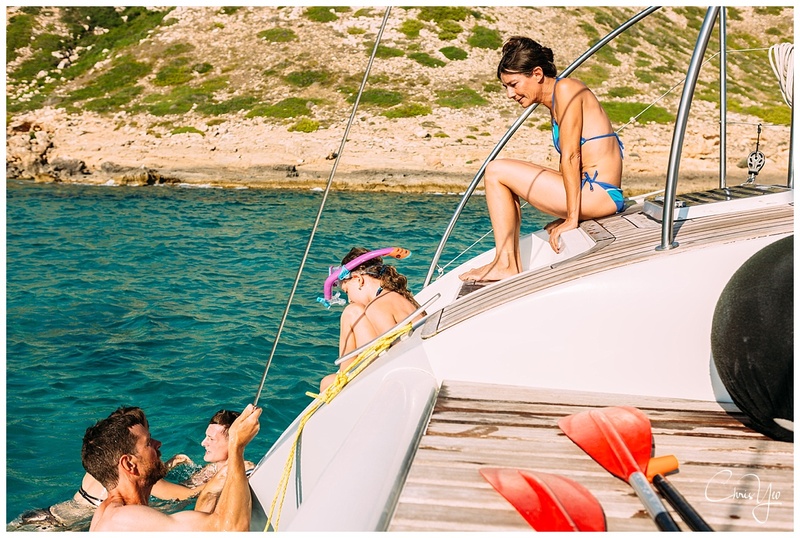 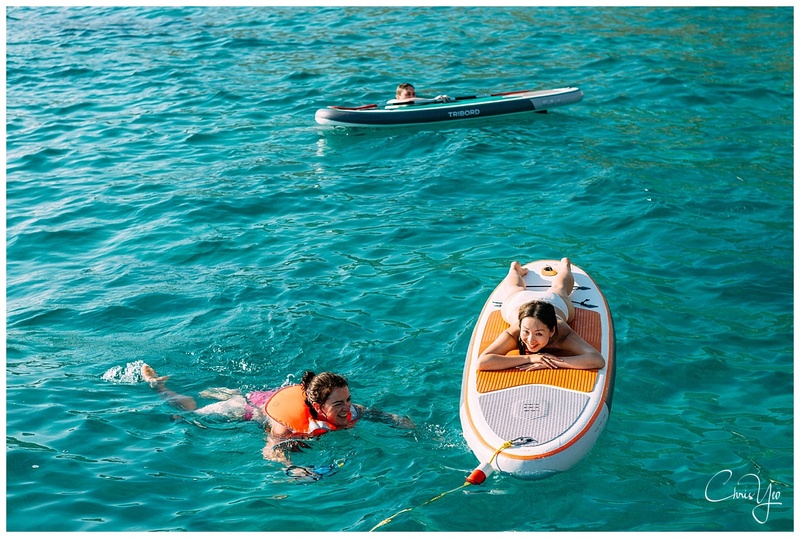 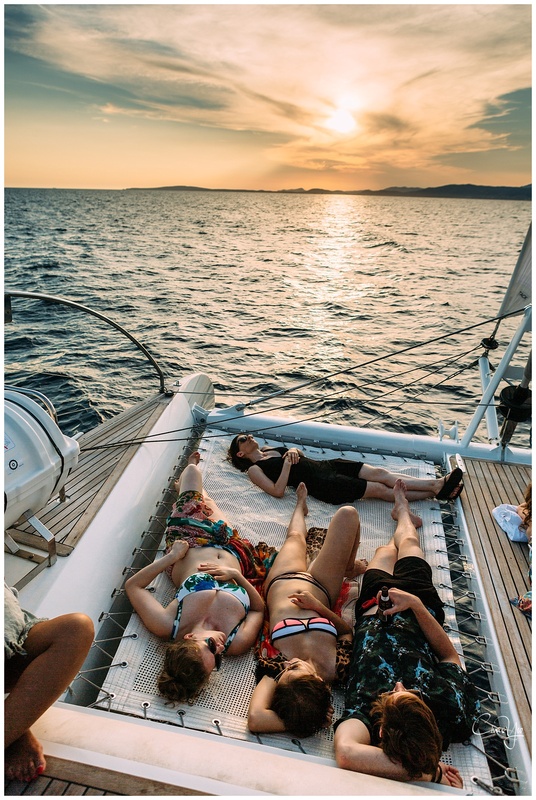 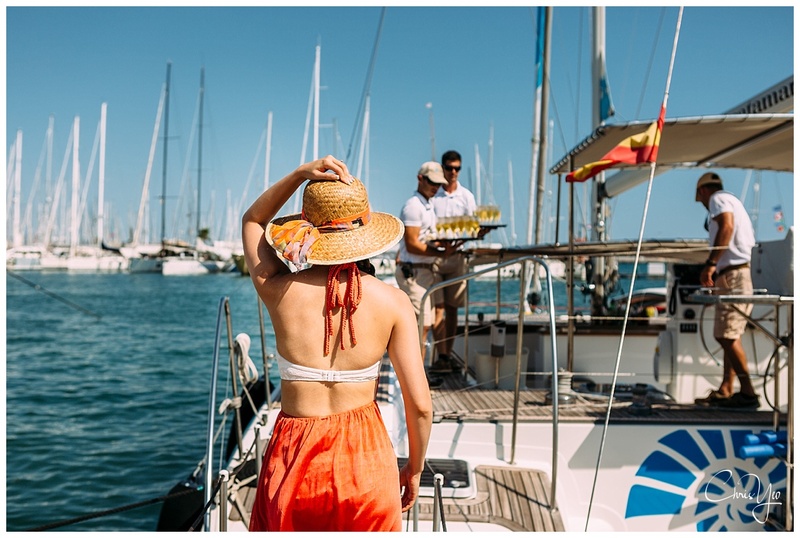 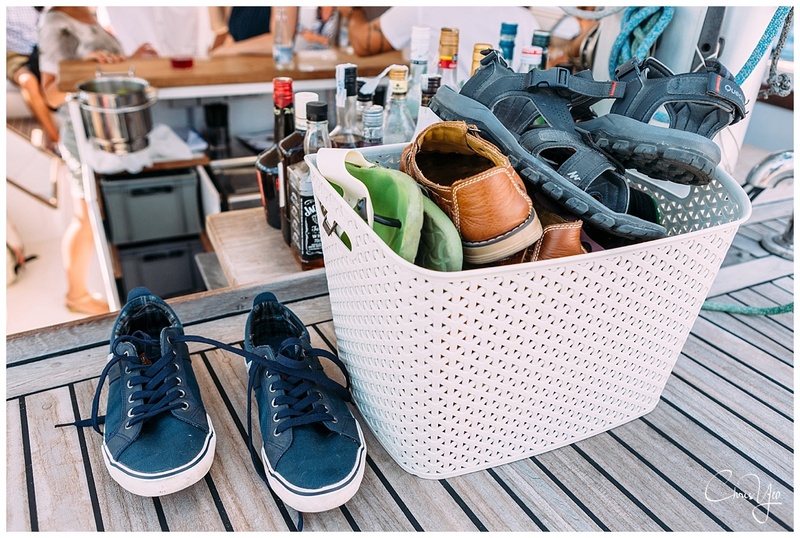 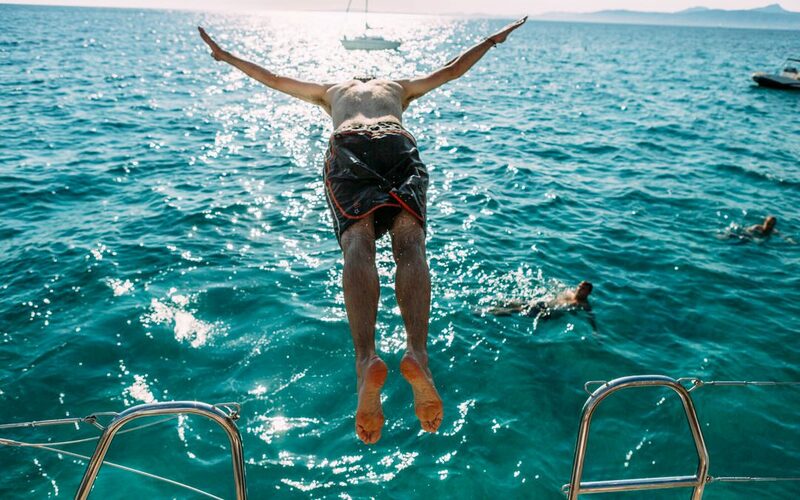 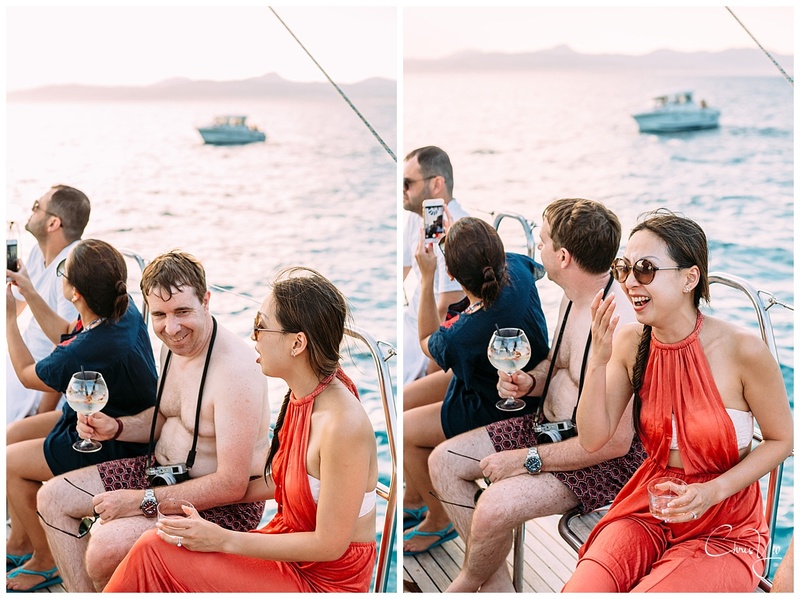 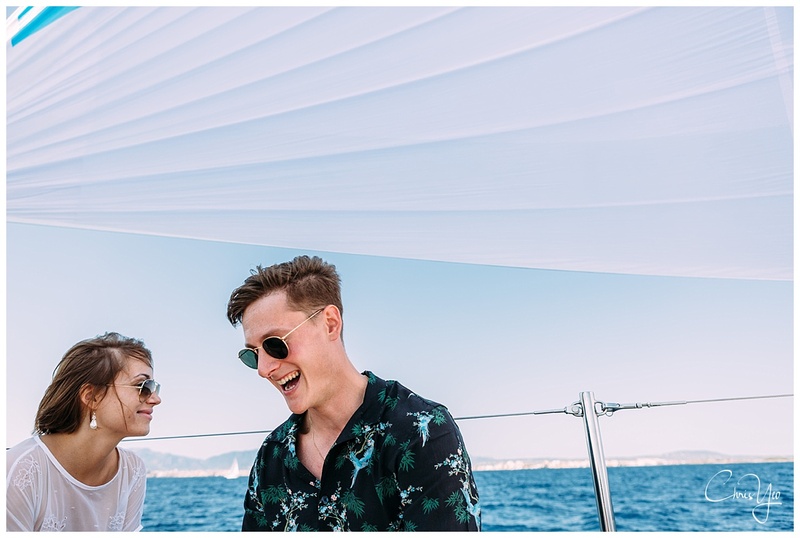 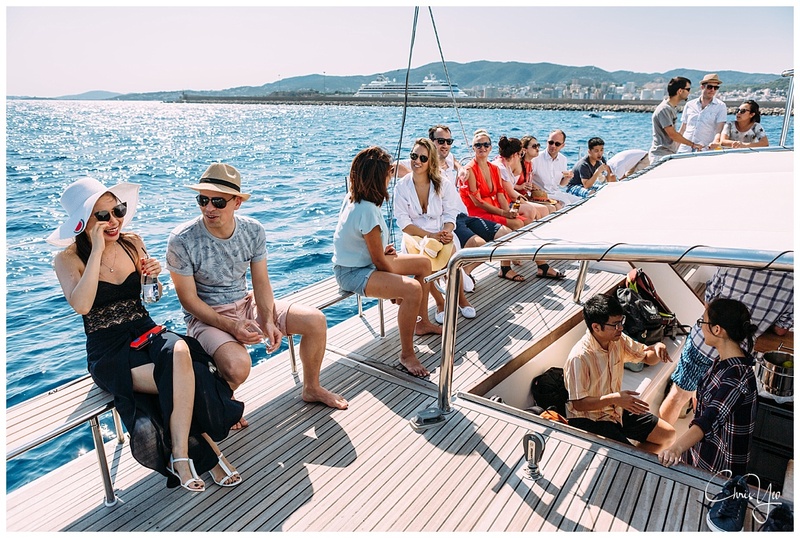 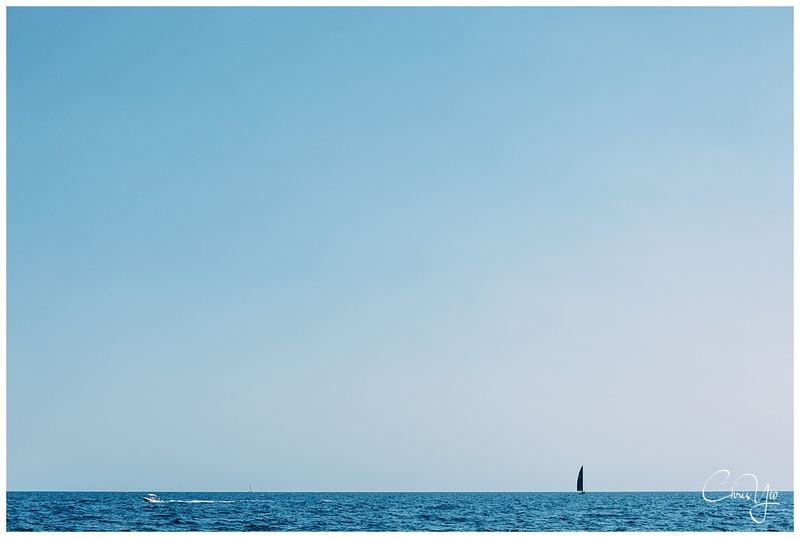 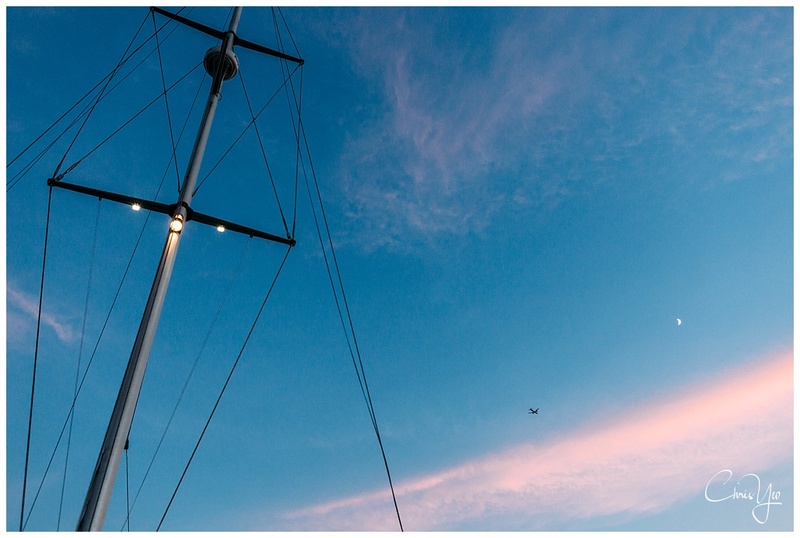 For their wedding on Mallorca, Angeline and Alex organised a catamaran trip for their family and friends the day before the wedding as a way to break the ice and for everyone to get to know one another. 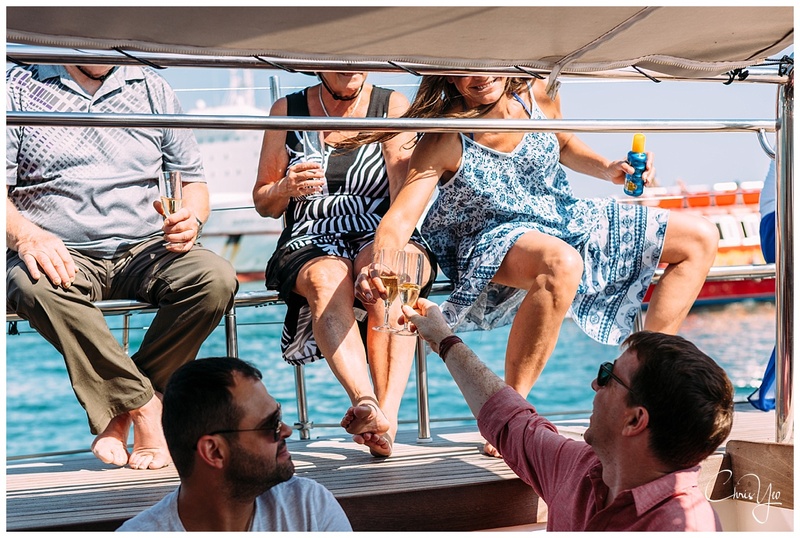 After a welcome champagne, the trip set off out of the harbour towards Isla Cabrera. 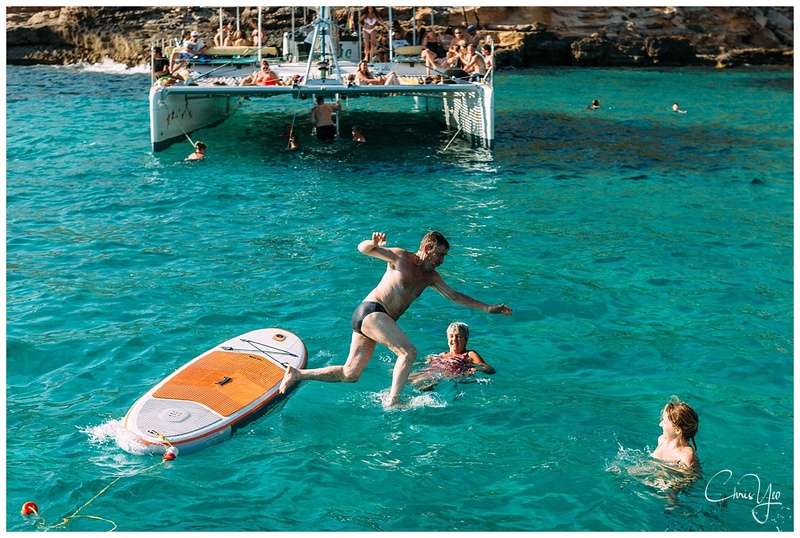 Once there, they relaxed in the clear mediterranean waters. 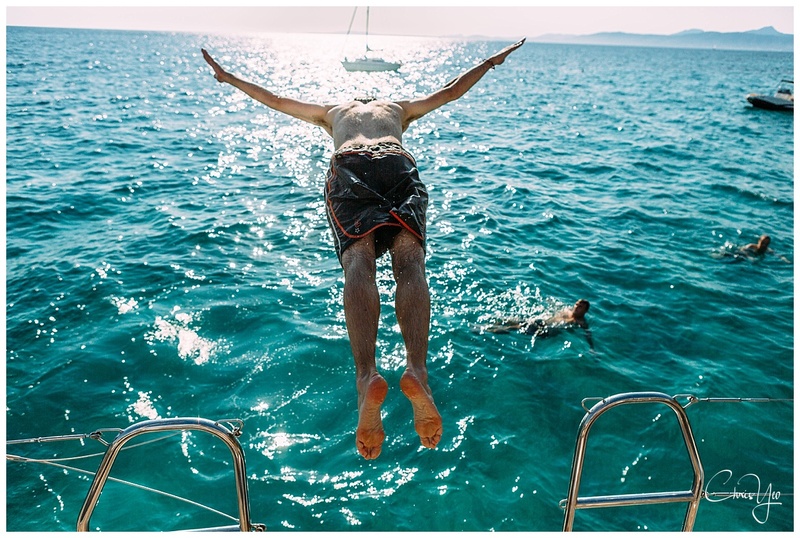 The adventurous ones did dives into the water from the catamaran. 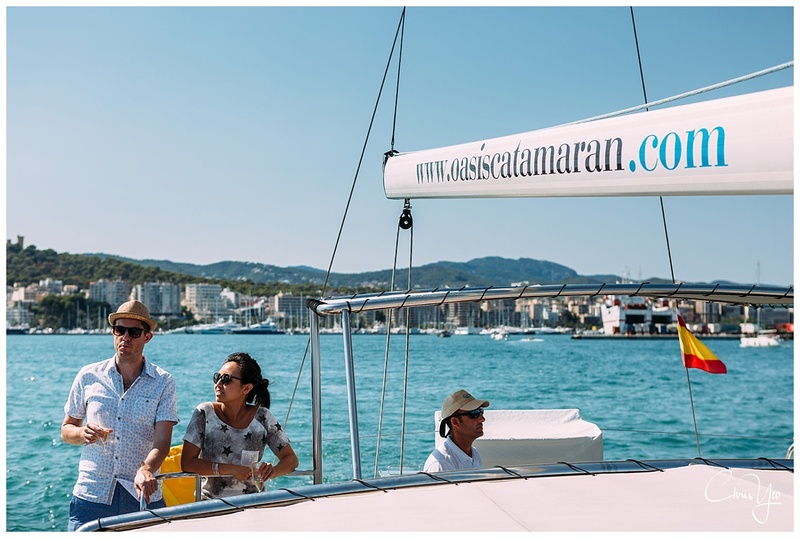 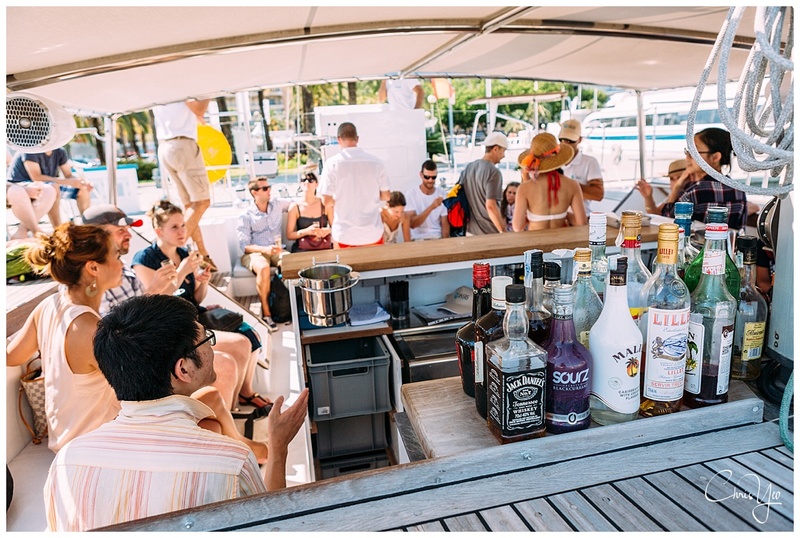 There was a free flow of drinks from the bar on the catamara which everyone enjoyed on the way back towards Palma harbour. 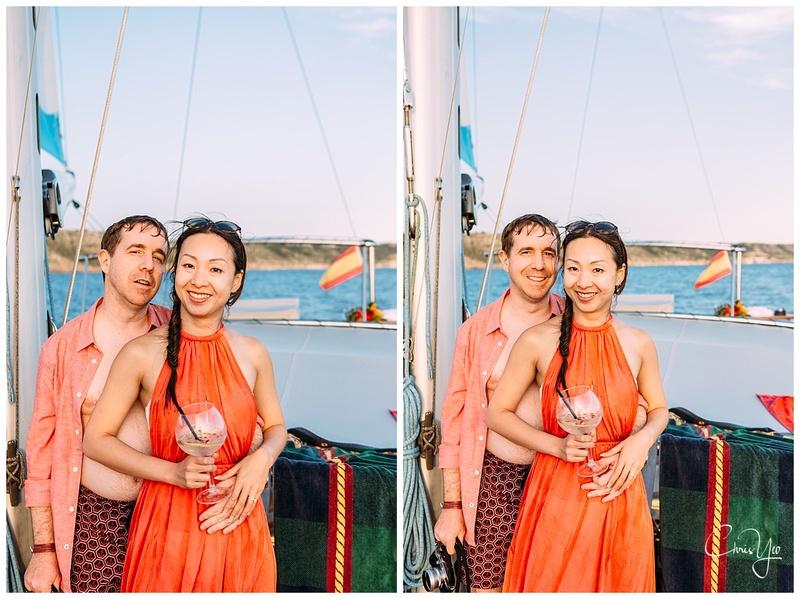 Along the way, with drinks in hand, we were treated to a truly beautiful sunset.